In Sabang Elementary School at 9:00AM (Near LCC Mall). 17 schools will be the beneficiaries of a football facility and equipment. 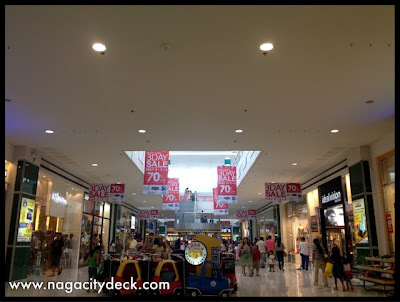 Let us all together witness one of the reasons why Naga City SMILES to the WORLD! All Youth Ministries, Movements, Groups, and Organizations are invited on May 25-26, 2012. A presentation rendered by Jay Cedro. K-Mart is a 24/7 convenient store selling Korean, Japanese, Chinese FOODIES and GOODIES! According to their Facebook page.. "the mini-store mainly sells korean and japanese foods and drinks.. The bestsellers are the Ice-Cream Sandwiches and Ice Drops with variety of flavors like melon, cookies and cream, strawberry"
JP Little Patio is located at 91 Dayangdang St. at back of Jumong carwash. Dayangdang is known as an extension to Magsaysay Avenue's night life. 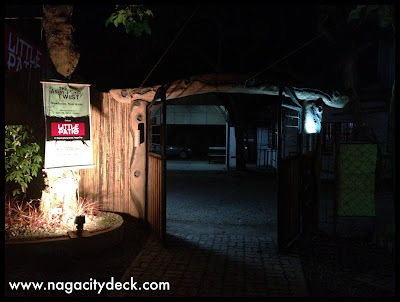 I have long been passing by the entrance of Little Patio but unable to drop by and dine. Luckily I was able to squeeze in my schedule a visit to the Little Patio last week after I was invited by Ms. Trish. 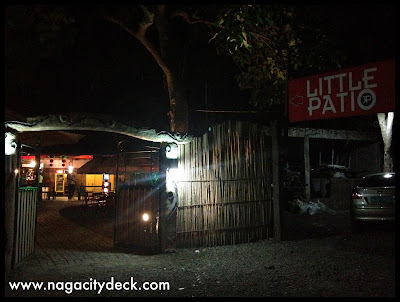 From the logo of Little Patio, I had an impression that it's themed as Japanese, but then I found out that it's not. Now, that's uniqueness number 1. THE PLACE. If you happen to know where Libod Resto Bar is, then you'll be able to find where Little Patio is located. It's at the back of a carwash with a huge compound and an ample parking space. From the main road of Dayangdang, you'll see the signage of Little Patio and an arrow for the parking space. So, no worries for your cars and there's a nice security personnel to guide you upon going in and out of the compound. The place itself justifies the name as a patio. 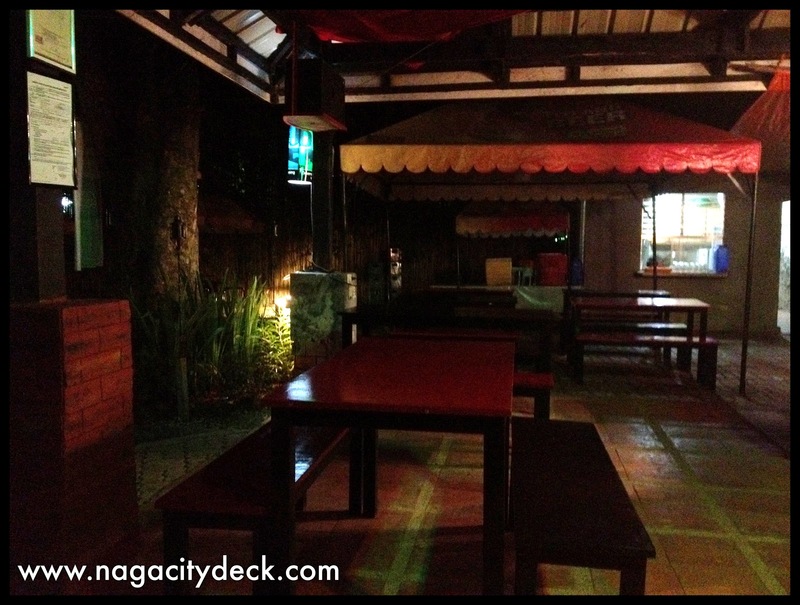 It's clean and a garden-feel like atmosphere where you can enjoy good music and most importantly their food. Live acoustic performances are scheduled every Thursdays, Fridays and Saturdays, 8:00 pm. THE FOOD. 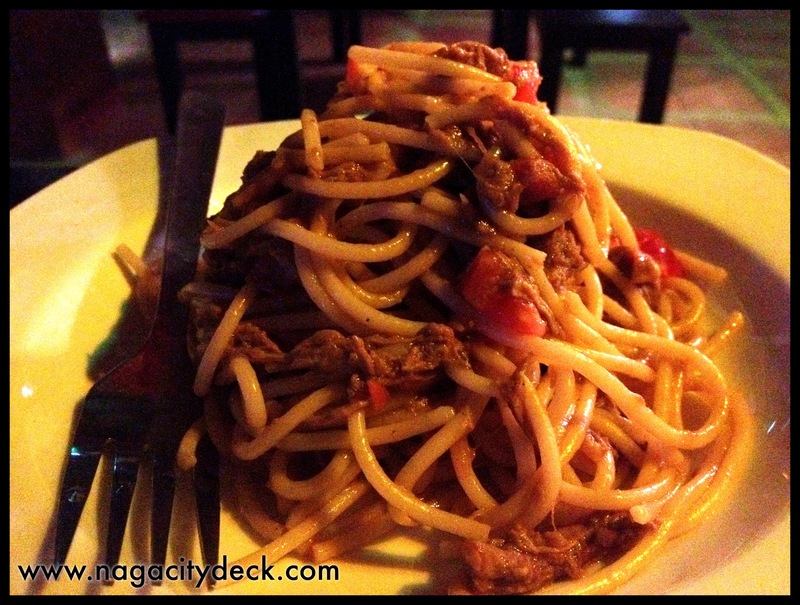 Little Patio has recently launched their month of May dish delights. 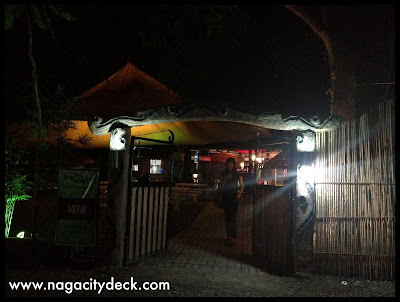 Be amazed with their newest food concept and definitely another first in the city that is soooo unique and creative and not to mention.. HEALTHY. Why? There is no match for food prepared by spices and the touch of culinary passion with no use of Magic Sarap or artificial flavorings. When Ms. Trish (one of the sisters of Little Patio) told me about this, it was a hands down and 2 thumbs up praise for them. I admire people who do not use artificial flavorings when cooking, because I was also raised like one by my parents. Now that's uniqueness number 2! We ordered Adobo Pasta, Beer and Beef Stew and one of my favorites now the "Sisig Wonton"
Sisig wrapped in wonton wrapper na may "ambura" (chopped onion, tomato, etc) on the side. 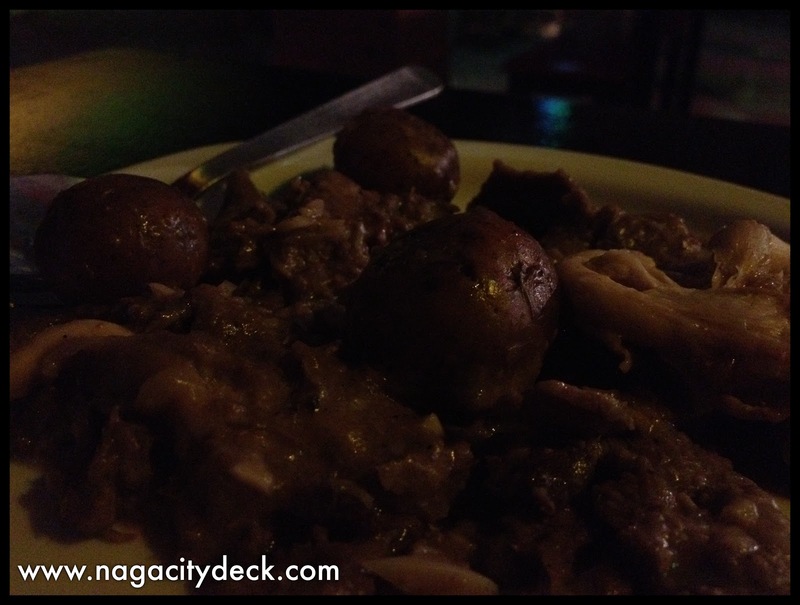 It's one sisig you'll never see in other restaurants, uniquely Little Patio, uniquely Naga! with potato and shitake mushrooms for the win!! Watch out for their new dishes! Stay tuned! Thank you Little Patio for the invitation! More power! Looking forward to another culinary adventures with Little Patio! Great food and taste only in Naga City! An old and yet dynamic city known for its quaint charm and legendary hospitality, Naga City is a “go to” hub that one loves to come back to because of its smiling people, superb cuisine, ancient landmarks, rich culture and heritage, as well as modern amenities that are perfect for guests and tourists, and homesick sons and daughters who come to visit for the fiesta and family reunions. 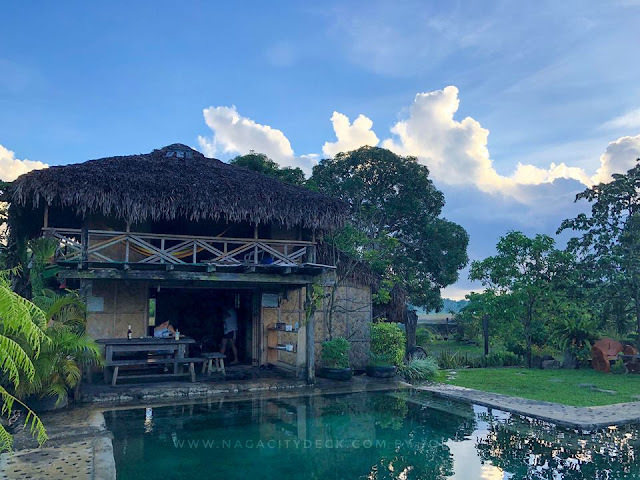 We want to capture these images and share them with everybody, in the Internet, in public shows or exhibits, or in important social events that highlight Naga as the city we love. The funniest, the most extraordinary, the most delicious,or the oddest experience you have had in this wonderful city as caught by the camera may bring you prizes, trophies, and the chance to be honored for that perfect shot during ceremonies in celebration of the 64th Charter Anniversary of the City of Naga on June 18, 2012! The contest is open to all amateur and professional photographers and hobbyists, ages 18 years old and above, whether based in Naga or anywhere in the Philippines and abroad but who has been to Naga and taken photos of the city. Participants who are below 18 years old must secure a written consent from a parent or guardian. 1. 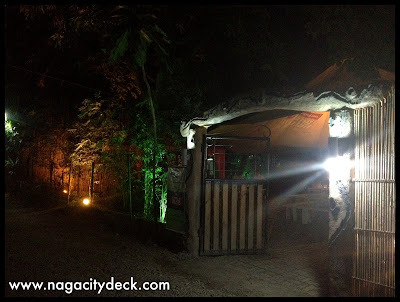 A participant must submit a fun photo that showcases the best treasures of Naga (people, food, arts, culture, traditions, places, tourist destination, landmarks, street scenes, etc. ), consistent with the general theme “Naga Smiles to the World.” A participant can send as many entries but he/she can only win once. 4. All entries should be original. The photo must have been taken between January 1, 2011 and June 8, 2012. It should not have won in any photo contest or published in any form of print and online media. 5. The photo entry must be digitally taken in JPEG format with a size of 8 inches x 10 inches. The image quality should be set in the highest possible resolution of the digital camera. 6. Entries that are scanned from a printed copy, or are digitally retouched using a photo software application are not allowed. However, a participant can use the creative effects of the camera, such as filtration and multiple exposures. Minor cropping, resizing, dodging, and adjusting the density, brightness and contrasts can be tolerated. 7. Watermarks and any other markings on the photo entry, such as the name of the photographer or the time and date the photo was taken, are not allowed. 8. 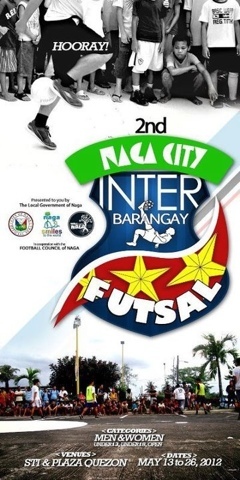 The participant agrees that his/her submitted entry will become the property of the City Government of Naga and can be used on the city website (http://naga.gov.ph/). 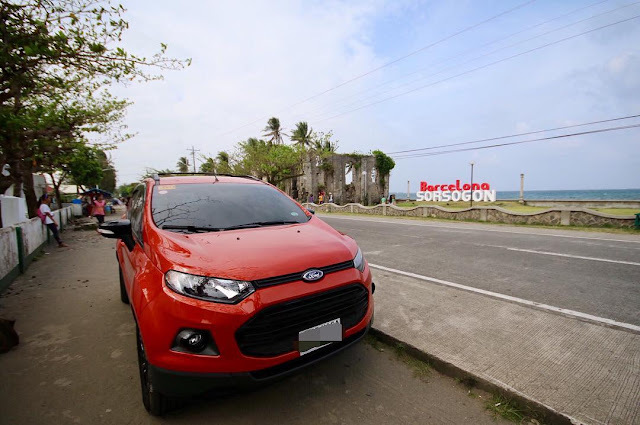 Likewise, the city government can use the photo for marketing, exhibition, and promotional purposes in all of its future publications, whether on print, film, or online media without any financial compensation to the owner. However, the owner will be duly acknowledged for his work. 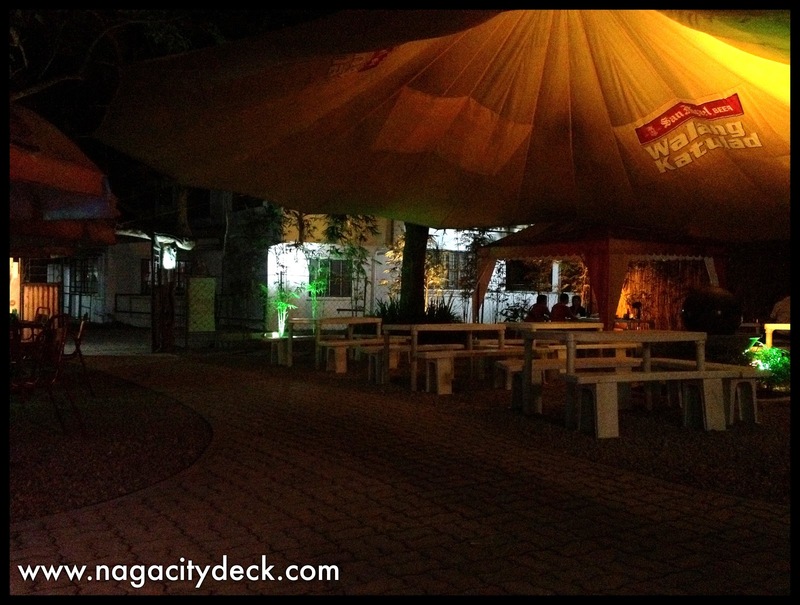 Failure to credit the owner due to any error or omission will not be held against the City Government of Naga. 9. Deadline of submission of entries online will be on June 8, 2012 at the close of office hours at 5:00 p.m. while final selection for the People’s Choice Award will end on midnight of June 15, 2012. The organizers reserve the right to disqualify an entry that does not meet the criteria.The decision of the jury is final and irrevocable. Any protest or complaint made after the announcement of finalists and winners will not be entertained by the organizers. 1. 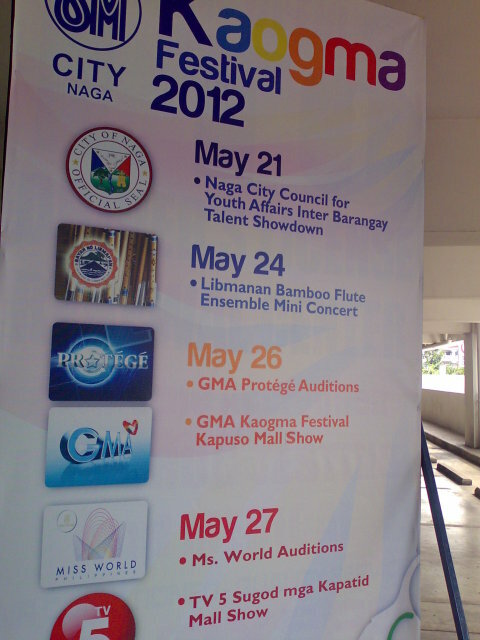 The top twenty (20) entries will be determined by the members of the Board of Judges on June 8, 2012 and will be uploaded on the “Naga SMILES to the World” Facebook page. 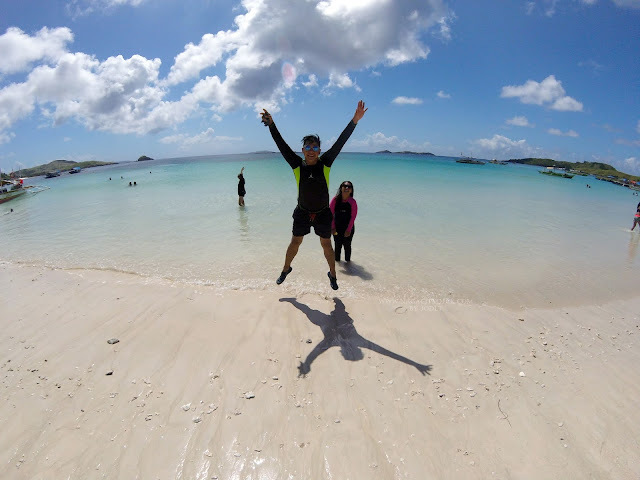 All other photo entries will likewise be posted on a separate album. 2. Online voting for the “People’s Choice Award” will start immediately on May 11, 2012 until midnight of June 15, 2012. Tagging the photo to his or her friends is permitted. 3. The People’s Choice Award is a separate competition using a Facebook App. 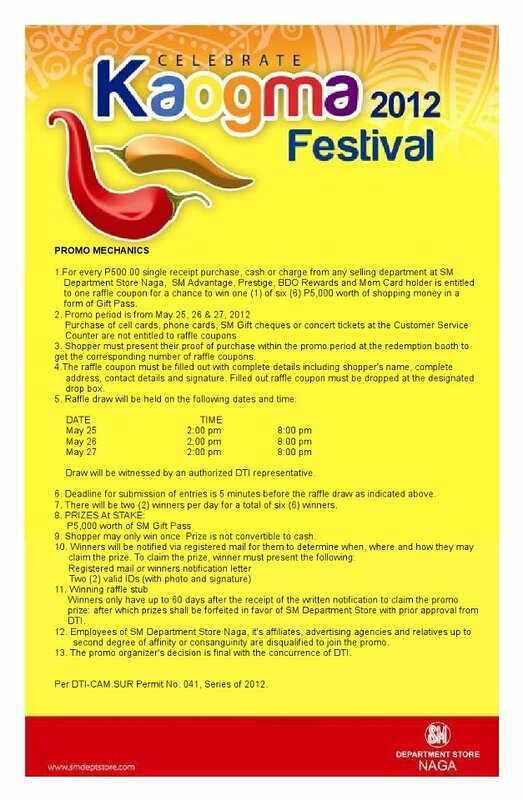 This promo is exclusive for Naga SMILES to the World fans but any Facebook user will be able to vote for entries. 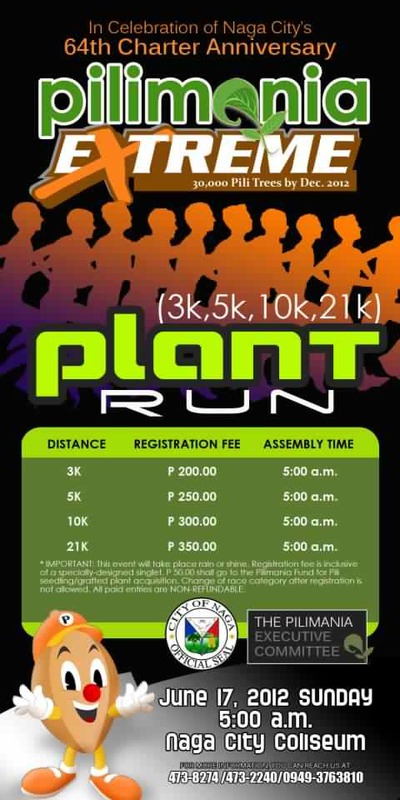 Email, phone number, gender, and country will be required for participants to join and complete their registration. 4. Users can only enter once so make it your best among many shots taken. To maximize reach users may post the contest on their wall after entering and will be able to recommend the promotion to their friends and share to get new votes. Winners will be notified via submitted email and guided how to claim their prizes before June 18, 2012. Let's get that shutter ready and show how Naga smiles to the world! The first tea shop in Naga, Bubble Town Tea House turns one year old! More power and God Bless you more BTT! Design your own bubble tea"
To all Fun run enthusiast and health conscious.. 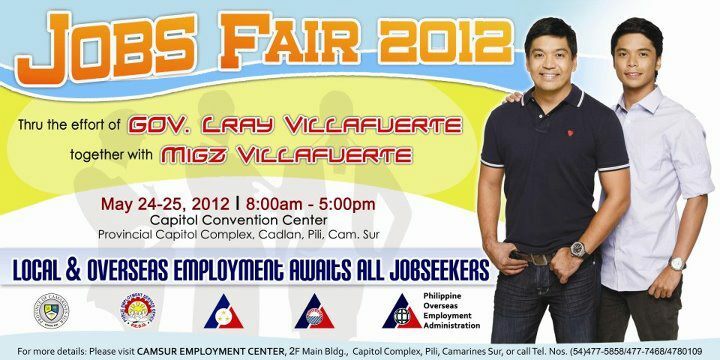 Please Join with the E-Run 2012 this coming May 27, 5am, assembly area at Plaza Quezon. This is a "Balik Eskuela Program" and "Rain Water Collector Project" to be establish in selected Public school in Naga City. 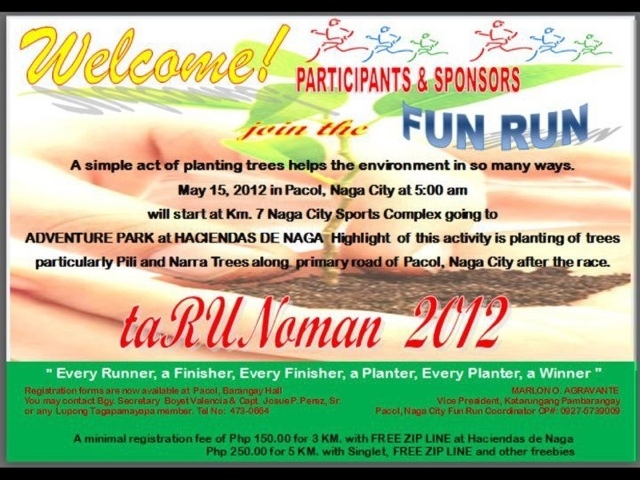 This is to be sponsored by the PICE Naga City Chapter...E-Run stands for Engineering, Environment and Education.....Pls support our Fun Run for the benefit of the less fortunate pupils and to save the environment by re-using rain water in school gardening, cleaning, washing and watering plants. Sali na kamo! Mag dalagan, mag tanom! May FREE ZIP LINE pa! Ladies, who among you doesn't like lots and lots and lots of pairs of shoes? I bet most of you guys feel the same way I do. Recently, I received a post anniversary treat from Avenue Square / Avenue Plaza Hotel and one of the treats is a gift certificate from Res Toe Run. I was able to check back at the store for almost 2 weeks after receiving the treat. Res|Toe|Run is a fashion footwear store that has a unique concept a “restaurant”. We serve our customers with the latest styles of shoe collections from all over the world. •RES represents the comfortable casual footwear line. •TOE is composed of toe-flaunting sandals and flip-flops. •RUN is made up of active and athletic-inspired shoes. THANK YOU SO MUCH Avenue Square! Avenue Plaza Hotel! and Res Toe Run! I haven't tried eating at Laksa yet.. but I'd like to try it of course..
here's a photo of the place after eating lunch at Grissini. 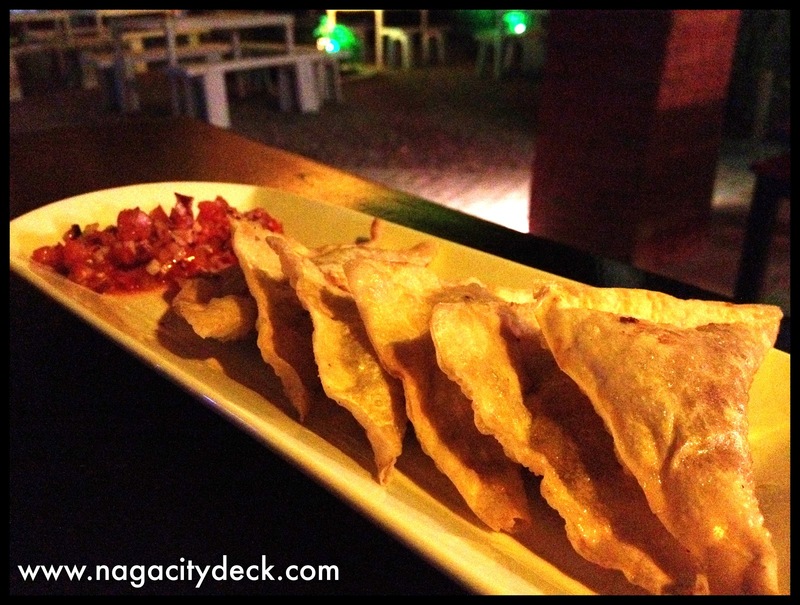 An appetizer for all seasons freely given. Dagos po kamong sa Ciudad nin Naga! !